Long Distance Movers - Compare & Save up to 70% ! Moving across town is one option. But a long distance usually involves a little more work and preparation. You have enough things to worry about if you are making a long distance move, so don’t waste time chasing around. 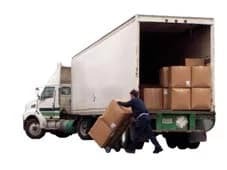 You can easily request a multiple quotes for Long Distance Movers in a quick and simple request via www.intlmovers.com. All you need to do is select your departure location and where your long distance move destination from the drop down list below, and complete the simple request form. The international moving companies will receive your request immediately and they will contact you directly to arrange a customized quote that is specific to your long distance moving needs. Receiving a number of quotes allows you to make a more informed decision when you choose who to help you with your long distance move. The quotes that you receive will allow you to compare both prices and services. Offered by the different international moving companies. That way you can find the right company to meet your long distance moving needs. As well as your budget.